Mademoiselle Danse has selected for you the most beautiful legs warmer. The warm-up outfit is an essential part of the performance of the dancer. For dancers who want to see the work of their legs, and find the warm-up pants too hot, there are legs warmer that keep the ankle area up to the knees warm, before, during and after exercise. 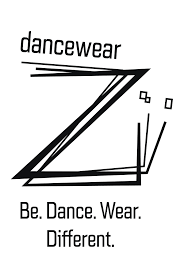 Available in a variety of colors and materials, they will adapt perfectly to your dance wear. Full lenght skinny fit leg warmers.Beautifful fit and comfort.Knitted 96% acrylic 4% elastane.79 cm. Dance Leg warmer elastic mesh patchwork.Entirely close-fitting with an elastic at the top of the thigh for a better support. Length: 79 cm96% acrylique and 4% elastane. Mademoiselle Danse likes : its very comfy and hot fabric. Embroidered legwarmers.Unique and comfortable the elastic will keep them on place.Acrylic knit material. Mademoiselle Danse likes: the style ! Legwarmers Capezio CK10954W light pink 27"
Dance legwarmers Capezio in ribbed meshEssential dancer article You can wear them during the class as well as during the warm-up or in the backstage to keep your leg warm90 cm.44% Viscose 28% Polyester 28% Nylon. Mademoiselle Danse likes: the soft fabric! Legwarmers Capezio CK10954W black 27"
Legwarmers Capezio CK10953W light pink 36"
Legwarmers Capezio CK10953W black 36"